India’s own fighter, the Tejas Light Combat Aircraft (LCA), is playing a growing role in protecting Indian airspace. On December 20, when the Tejas was cleared for operational service in the Indian Air Force (IAF), Defence Minister A K Antony declared 200 Tejas fighters would eventually enter combat service. Today, that figure quietly swelled to well above 300, with the government indicating the IAF would have at least 14 Tejas squadrons. Each IAF combat squadron has 21 fighter aircraft; 14 squadrons add to 294 Tejas fighters. The 21 comprise 16 frontline, single-seat fighters, two twin-seat trainers and three reserve aircraft to make up losses in a war. So far, the IAF has committed to inducting only six Tejas squadrons — two squadrons of the current Tejas Mark I, and four squadrons of the improved Tejas Mark II. In addition, the navy plans to buy 40-50 Tejas for its future aircraft carriers. Since the programme began in 1985, about Rs 7,000 crore have been spent on the Tejas Mark I, which obtained Initial Operational Clearance in December, allowing regular IAF pilots to fly it. By the end of this year, when it obtains Final Operational Clearance, it would have consumed a Budget of Rs 7,965 crore. Hindustan Aeronautics Ltd, which manufactures the Tejas, has quoted Rs 162 crore a fighter as its latest price. Amortising the entire development cost on the envisioned 344 fighters (IAF: 294; Navy: 50), the Tejas would cost Rs 209 crore ($33.5 million) per fighter. In comparison, the IAF’s Mirage 2000 fighters, bought in the 1980s, are currently being upgraded for $45 million per aircraft. IAF pilots that test-fly the Tejas Mark I find it qualitatively superior to the Mirage 2000. “With these air forces facing severe budget pressures, the Tejas has only one rival in this market — the JF-17 Thunder, being built by China in partnership with Pakistan. They are marketing the JF-17 aggressively in every global air show, but India is completely ignoring the Tejas’ potential,” said Singh. Boeing and the U.S. Air Force Sustainment Center (AFSC) have entered into an overarching public-private partnership that will streamline supply chain contracting, saving money and speeding up execution by as much as 10 months. The partnership – the first of its kind – allows the three Air Force logistics complexes that are under the AFSC to immediately execute implementation agreements with Boeing, reducing administrative costs and increasing efficiency. “Boeing is proud to lead the way for industry by developing a new, more efficient and affordable way to do business,” said Scott Strode, vice president and general manager of Maintenance, Modifications and Upgrades for Boeing Defense, Space and Security. In the past, each complex – Oklahoma City Air Logistics Complex, Ogden Air Logistics Complex and Warner Robins Air Logistics Complex – would enter into an individual partnering agreement with Boeing, a process that took 12 to 16 months to complete. The enterprise partnering agreement now in place allows the complexes to move directly to executing the details of the agreement, allowing implementation eight to 10 months earlier. “The new partnering agreement will make our supply chain more agile so we can deliver maximum mission readiness to our customers,” said Ken Shaw, vice president of Supply Chain Management for Boeing Defense, Space and Security. The agreement covers products and services including software, commodities, new technology implementation and others. Indications are that the F-35 joint strike fighter program — the most expensive aviation program in Defense Department history — is on track, the undersecretary of defense for acquisition, technology and logistics told a Senate panel here June 19. Testifying before the Senate Appropriations Committee’s defense subcommittee this morning, Frank Kendall said the F-35 will be the premier strike aircraft for the Air Force, Navy and Marine Corps. The program, begun in President George W. Bush’s administration, is about 90 percent through the development program and 40 percent through flight testing. Kendall said he anticipates being able to complete the development effort within the planned cost and schedule. Production of the aircraft was in real jeopardy in 2011 amid uncertainty in how design issues would be solved, the undersecretary said. “The F-35 is one of the most concurrent programs I have ever seen, meaning that there is a high degree of overlap between the development phase and the production phase of the program,” he said. Kendall said he believes those questions have been answered, and he told the committee he will review the program later this year to decide whether to increase the production rate significantly in 2015, as is currently planned. “At this point, I am cautiously optimistic that we will be able to do so,” he said. The aircraft builder, Lockheed-Martin, is required to share costs associated with design changes due to concurrency, and the Defense Department is negotiating the next two buys. The undersecretary said he believes sustainment costs represent the greatest opportunity to reduce life cycle costs of the F-35 going forward. Last week the federal government’s prestigious National Research Council released a report on ballistic missile defense that will inform policymaker decisions on funding options. One facet of its findings is already making headlines: the astronomical support costs of the Army’s Patriot Advanced Capability Three (PAC-3) system. Patriot is the service’s primary surface-to-air missile and radar system for intercepting shorter-range ballistic missiles, and PAC-3 is the latest version. That’s an important defensive capability as potential adversaries from Hezbollah to China to Iran acquire ever-larger arsenals of tactical ballistic missiles. However, the research council’s findings indicate that the 20-year cost of keeping the PAC-3 system fielded could approach a quarter trillion dollars. Even grizzled veterans of Cold War weapons debates like me find that price-tag stunningly high. After all, it’s only one weapon system, and the calculation doesn’t even include the cost of planes needed to airlift PAC-3 to overseas sites or research expenditures required to keep the system operationally relevant. Here’s how the total was arrived at. Each Patriot battalion consists of four missile and radar batteries that individually cost $184-202 million per year to operate and support. Thus, the annual cost of a full battalion is $735-809 million. The Army has 15 such battalions, so the annual cost to operate and support the entire program, both at home and abroad, is $11-12 billion. Multiply those amounts by 20 years of operations, and you get to the staggering total of $220-240 billion. And like I said, that doesn’t include the cost of airlift to foreign air zones, which is covered by the Air Force budget, or R&D, which is funded outside the Army’s operations and support budget. These oversized numbers will inevitably lead Congress and Pentagon policymakers to take another look at why the Army canceled a planned successor to Patriot last year. Called the Medium Extended Air Defense System, or MEADS, it would have provided a lighter, more capable system whose development was largely funded by allies. The Army’s decision was driven by budget constraints and a belief that overhead threats were emerging more slowly than expected, but little thought seems to have been given to the huge support costs of the current system over the next 20 years. The Obama Administration’s Pentagon team has spent much of the last four years trying to find cheaper ways of meeting U.S. security needs. Army air defenses seem like a place where more study is needed. Why should the Army kill the acquisition of a more capable air and missile defense system when the entire cost can be covered within a few years by retiring its pricey predecessor? The US Air Force began testing a C-130H Hercules tactical transport aircraft powered by an enhanced T-56 engine. According to the manufacturer, Rolls-Royce, the Series 3.5 Engine Enhancement is designed to deliver fuel savings and reliability improvements, resulting in improved life cycle costs. 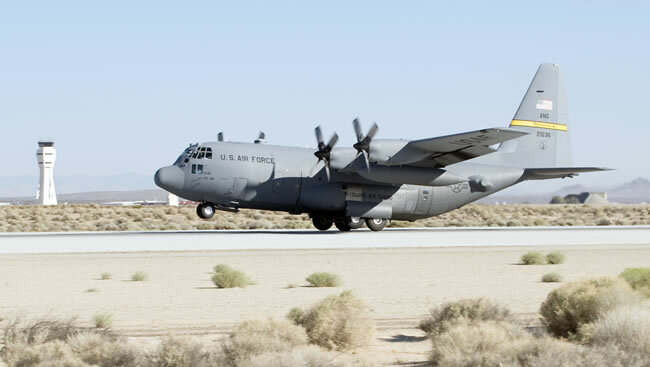 The first C-130H test aircraft began flying recently at the US Edwards Air Force Base, CA. The Series 3.5 Engine Enhancement program is expected to enable the USAF to continue to operate its C-130H fleet until 2040, and a USAF analysis estimated its long-term savings from the Series 3.5 enhancements could reach $2 Billion. The T56-A13 Series 3.5 improvements reduce fuel consumption by 7.9 percent, improve hot day performance by increasing maximum engine torque limit to 48 degrees celsius and improve turbine life by reducing inlet temperature by 82 degrees celsius. The Series 3.5 Engine Enhancement has already demonstrated greater than 8 percent fuel burn improvement in ground tests, using proven technologies from other Rolls-Royce commercial and military engines, including new blade and vane materials and advanced turbine airfoil aerodynamic designs. The Series 3.5 will also improve performance in ‘hot and high’ conditions. The engine improvements can be accomplished as part of a conventional engine overhaul, and do not require any aircraft or engine control system modifications. Each C-130 aircraft has four Rolls-Royce T56 engines, with approximately 220 C-130H models eligible for upgrades. The Series 3.5 program will help the Air Force to achieve its goal of reducing consumption of aviation fuel by 10 percent by 2015. Lockheed Martin has demonstrated the latest variant of its new launching system that maximizes the use of existing hardware and electronics to reduce the integration costs of weapons by more than 50 percent. During a May 5 test at the Royal Australian Air Force’s Woomera Test Range in South Australia, the new Extensible Launching System (ExLS) standalone variant successfully fired two Nulka Offboard Countermeasure missile decoy test rounds. One decoy was provided by the U.S. Navy and the other by the Nulka designer and manufacturer BAE Systems Australia. Developed in just 10 months, the new ExLS variant offers an alternative for vertically launched weapons on surface ships that aren’t equipped with a vertical launching system (VLS), such as a MK 41 or MK 57. The ExLS standalone variant is ideally suited for smaller vessel classes. Installed below deck, the new launcher significantly reduces the integration costs for individual weapons by serving as an adapter between the canister of a missile or munition and its qualified electronics, and the ship’s existing weapons system. “As initially envisioned, Lockheed Martin’s original ExLS worked with ships equipped with either MK 41 or MK 57 Vertical Launch Systems, and we saw an opportunity expand the capability,” said Colleen Arthur, director of Integrated Defense Systems for Lockheed Martin’s Mission System and Sensors business. The test in Australia also successfully demonstrated the system’s Nulka munition adapter – a unique feature that enables the missile decoy to quickly and cost-effectively be inserted into ExLS. Adapters can also be developed for other missiles and munitions. Work on the ExLS standalone launcher is done at Lockheed Martin’s Baltimore, Md., facility. The withdrawal of American troops from Iraq will allow for a reduced US defense budget in 2012 but the war in Afghanistan stll costs the United States close to 300 million dollars a day. Under the Pentagon’s proposed budget, the cost of the wars in Iraq and Afghanistan will drop to $117.8 billion for fiscal year 2012, a reduction of 41.5 billion from the previous year. As the US war effort winds down in Iraq, the budget sets aside $10.6 billion for “Operation New Dawn,” with the remaining 50,000 US troops there due to withdraw by the end of 2011. The budget released Monday offered no insight into the scale of the planned drawdown, with the Pentagon’s budget document assuming an average of 98,250 troops on the ground by the end of 2012. Gates said the Pentagon had “decided to budget conservatively” as it was too soon to predict how many troops would be withdrawn after July. The budget for Afghanistan and Iraq includes $79.2 billion for operations, $10.1 billion to counter the threat posed by homemade bombs — the main killer of NATO-led troops in the war.